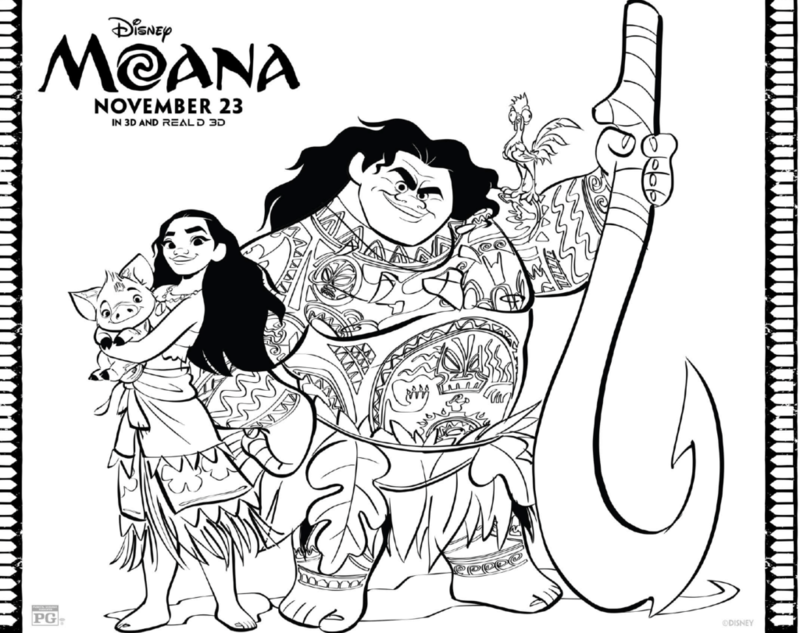 I have free Moana coloring pages for your kids, today! YEOW! Don’t you love it when I tell you that I have free Disney printables or downloads? Because I love to share them. These coloring pages are a real treat because they truly capture the HEART of the movie. I have 4 for your family and they are going to be thrilled. My family has such an affection for this movie. In fact, we can’t watch it without bawling our eyes out and breaking into song. Ok, let me rephrase that. I can’t watch Moana without breaking into song WHILE bawling my eyes out. LOL! I am so happy to share these amazing coloring sheets with you so you can enjoy them with the rest of your family. Before you scroll down to access the links, take a moment to check out the trailer of the Disney movie in case you need a little refresher. Can you watch this without crying? Because I can’t seem to get through it without tearing up. Moana seems to do that to me. Always so good, right? Ok, onto the coloring sheets. I am so excited about these because I know these are something my little ones will ask for time and time again – well after the movie leaves the theatre. 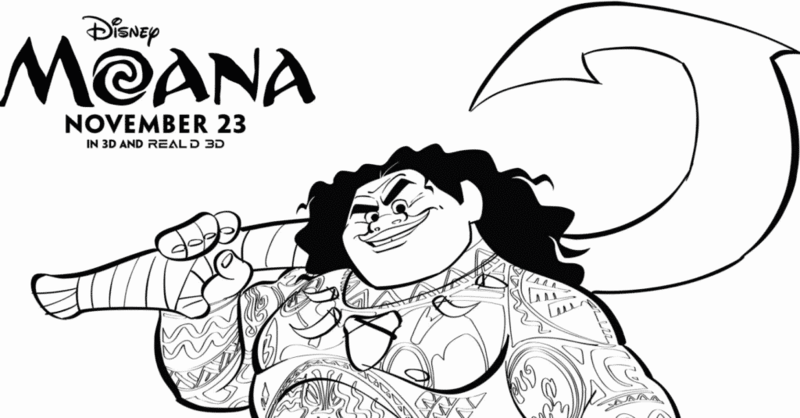 To download your free Moana pages, click on the following links. Save them to your computer and print as many copies as you’d like. Three thousand years ago, the greatest sailors in the world voyaged across the vast Pacific, discovering the many islands of Oceania. But then, for a millennium, their voyages stopped – and no one knows exactly why. From Walt Disney Animation Studios comes “Moana,” a sweeping, CG-animated feature film about an adventurous teenager who sails out on a daring mission to save her people. 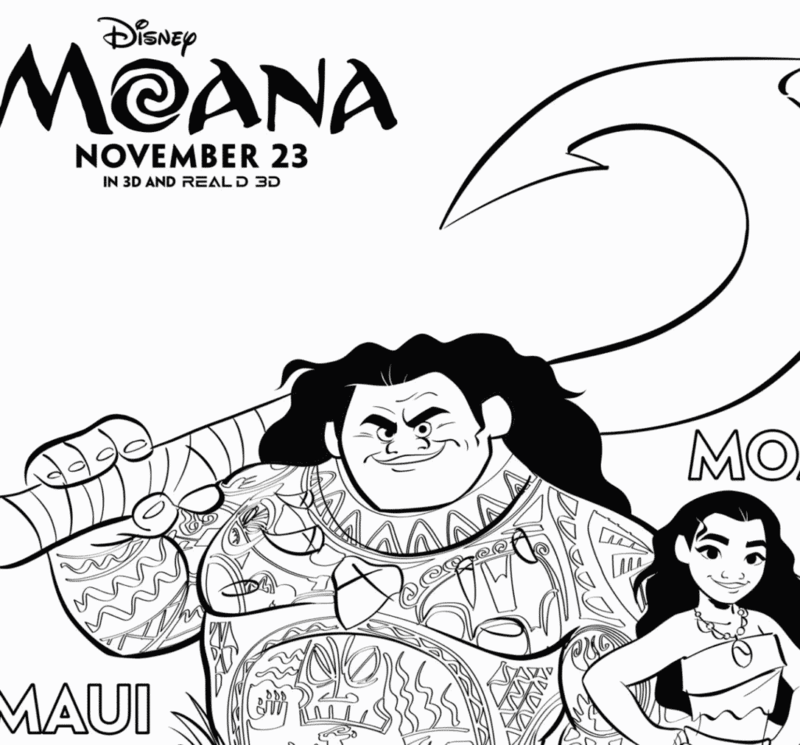 During her journey, Moana (voice of Auli‘i Cravalho) meets the mighty demigod Maui (voice of Dwayne Johnson), who guides her in her quest to become a master wave finder. Together, they sail across the open ocean on an action-packed voyage, encountering enormous monsters and impossible odds, and along the way, Moana fulfills the ancient quest of her ancestors and discovers the one thing she’s always sought: her own identity. Bring these freebies with you on your next road trip! Have them for the kids when they come home from school! Print a few extra copies to get everyone offline! What’s your favorite part about the movie, Moana? Which characters do your children love best? We are a divided house over here! They used real pigs for the voice of Pua. Maui is based on demi-god Māui. 16-year-old Auli’i Cravalho from Hawaii is the voice of Moana. The fictional movie takes place 3,000 years ago in the islands of Polynesia, an area that includes Hawaii, Tonga and Tahiti. It took over five years to develop and produce the film. Moana means “ocean” in Maori, Hawaiian, and most other Polynesian languages. Seriously, I could watch this movie a thousand times! Now you can too all while coloring your favorite characters with your kids. Enjoy! 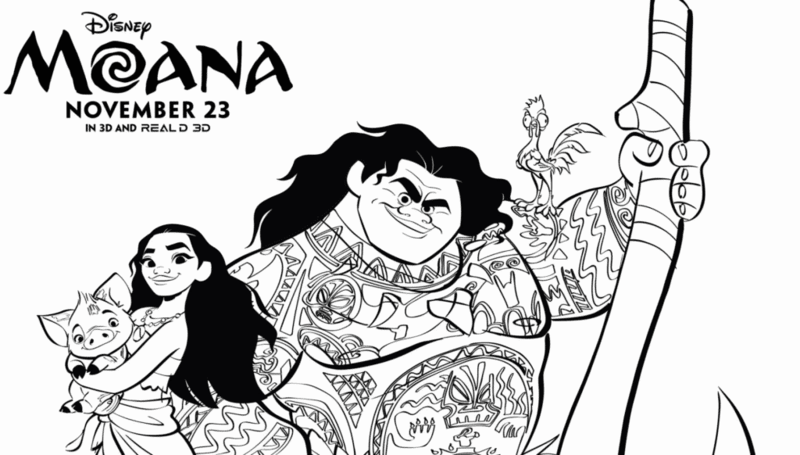 MOANA arrives in theatres everywhere on November 23rd! 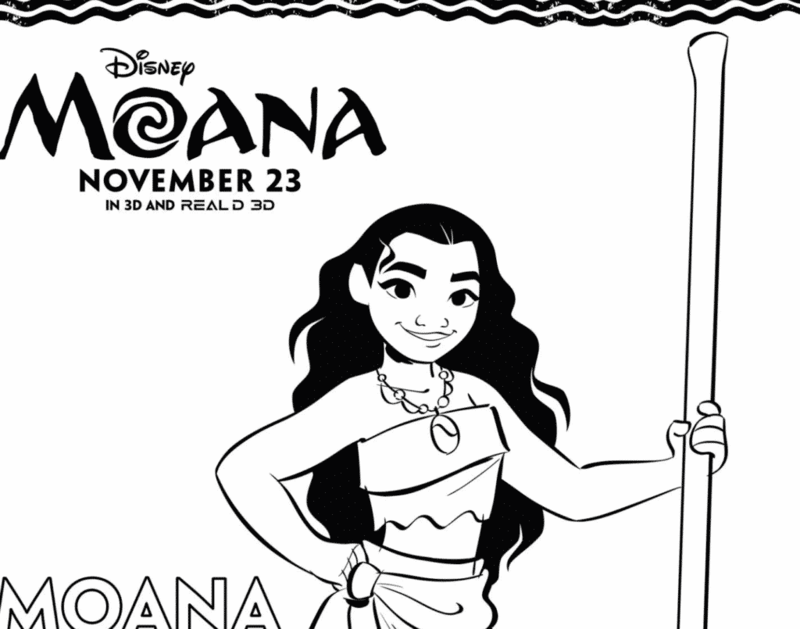 I hope you enjoy your free Moana Coloring pages!